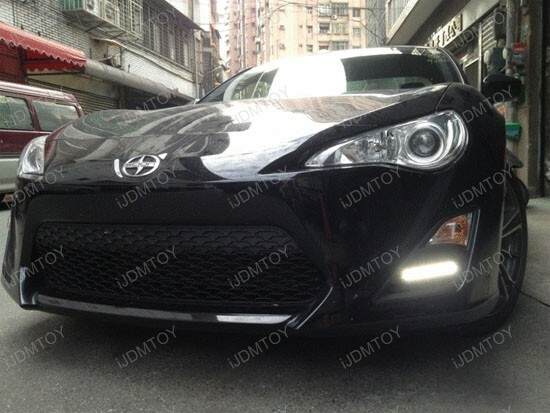 Q: How do I install this Scion FR-S LED daytime running lights? 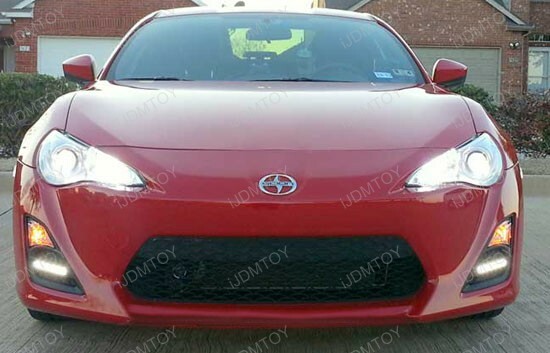 A: Please take a look at this detailed installation guide on How to Install Scion FR-S LED Daytime Running Lamps. 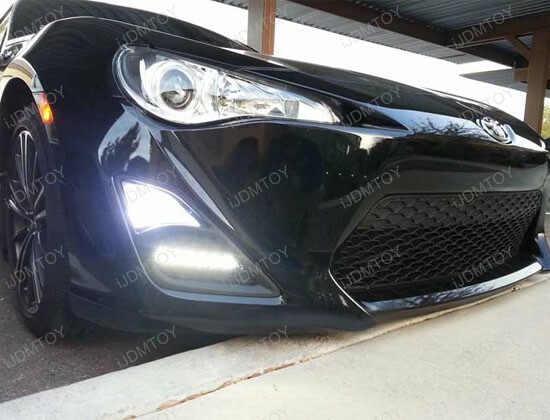 Q: The LED DRLs are already attached so I can't install it onto my FR-S. What do I do? 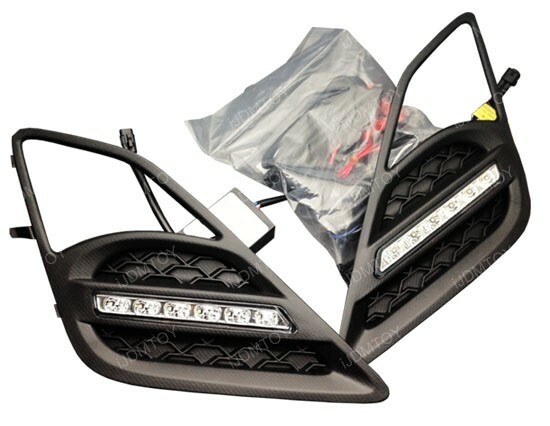 A: We pre-connect the LED daytime running lights so that we can test them before we ship them out. 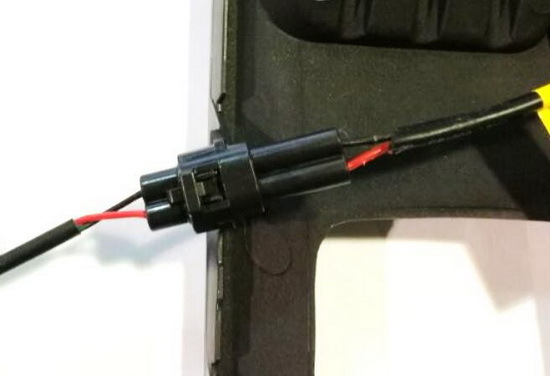 When you are disconnecting the LED daytime running lights, do not pull on the wires directly. 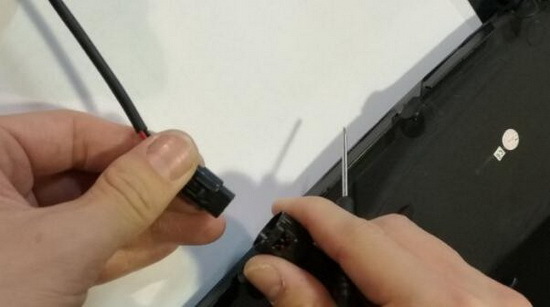 Instead, use a small flathead screwdriver to push the tab and release the lock. 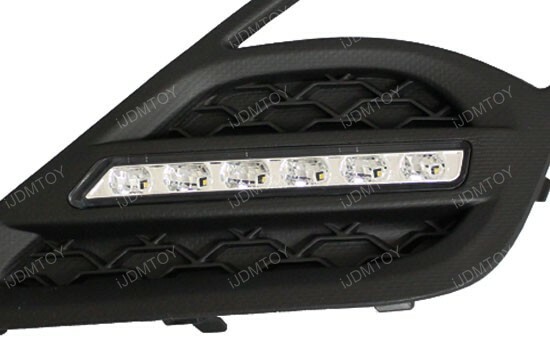 This page features one set xenon white 6-LED high power LED daytime running light lamps direct fit for 2013-2016 Scion FR-S (aka Toyota 86/FT86/GT86). 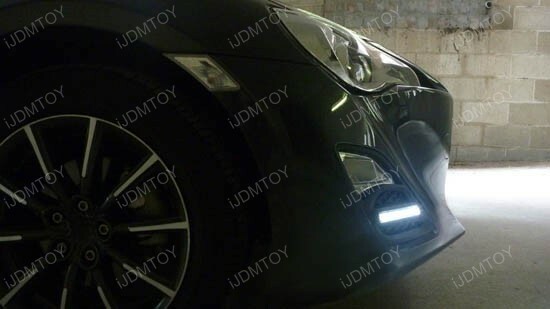 This high power LED daytime running lights are direct clip on to replace the original Scion FR-S front bumper plastic with no modification needed for this installation process. 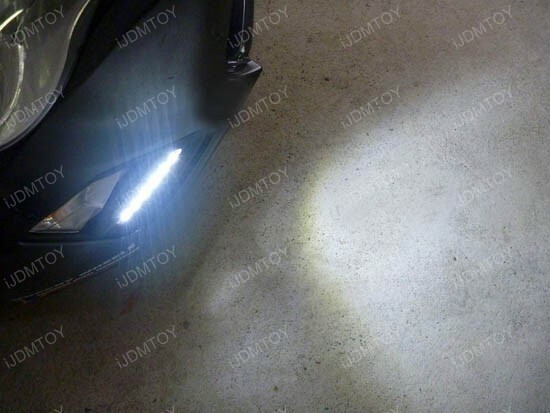 If your Scion FR-S comes with the stock fog lamps already, you will need to remove the fog lamps before installing this LED daytime running lights. 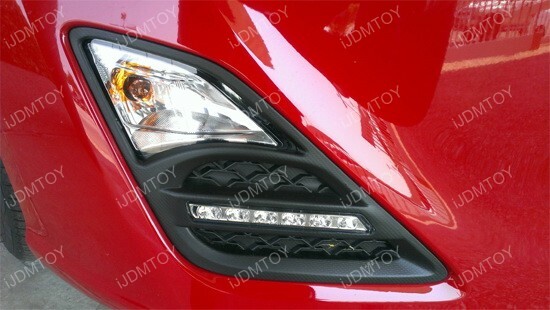 Put for my all new 14 Scion FR-S. 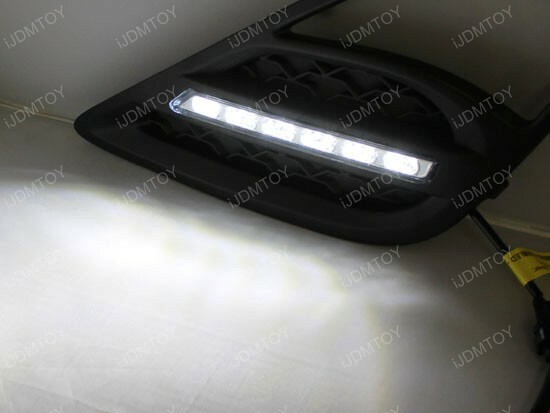 Adding this new LED daytime light definitely make the empty supposed with fog lamp space looks very nice. 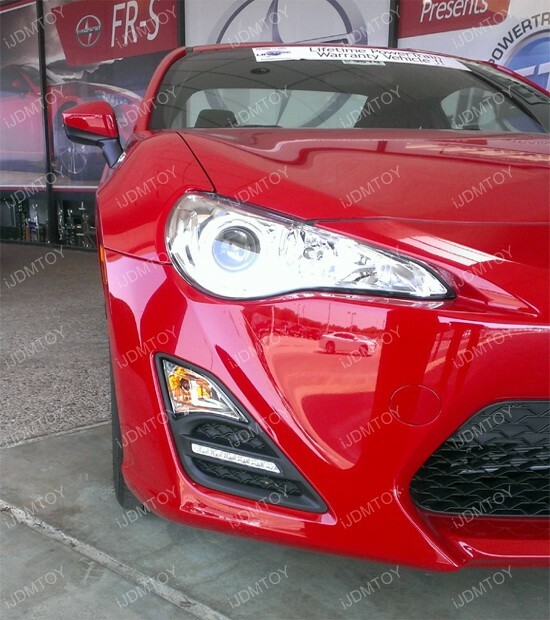 Installation is easy and the price is much better than the advertised price on the Scion FR-S forum. Looks very nice and neat. 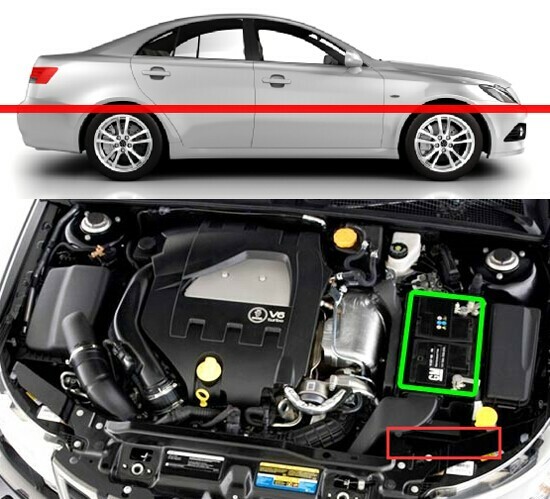 This price here is better than the FT86club forum. Service is very professional online. 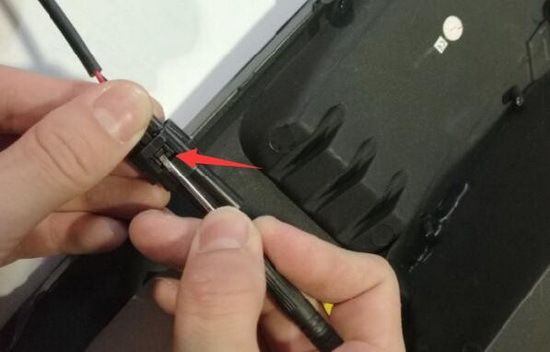 This company really know about the stuffs they are selling, able to answer all my question before buying and later on installing this. 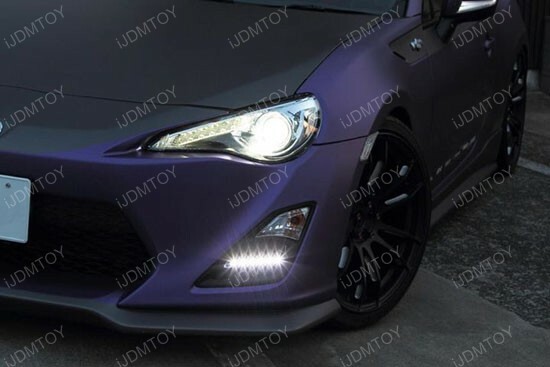 This Scion FRS LED daytime running lights looks amazing, better than spending 300 bucks getting the JDM fog lamp bezel & fog.